Did you know most server-sent email hits your lead's spam-box, at best! A majority of emails sent out of software like WordPress never reach their target because they're sent unsigned from default server email addresses. Setup multiple SMTP outbound channels with the easy-to-use ZBS CRM Mail Delivery Wizard. Forget about deliverability. 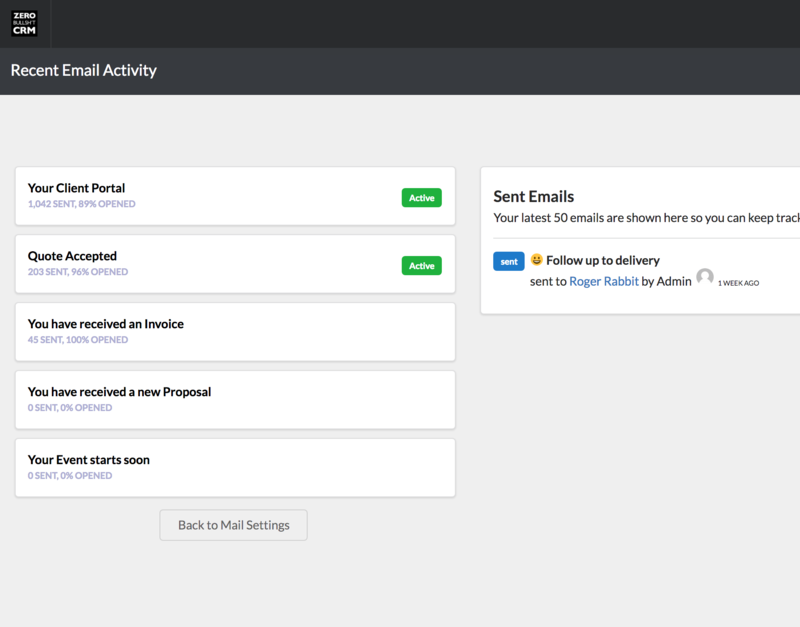 If you're piping emails through SMTP with Zero BS CRM Mail Delivery methods, your mail will get sent. You can add as many outbound email accounts to Zero BS CRM as you need. Each email is quick to add via the Mail Delivery Wizard, you can even verify that it's sending, or send a test email. There's literally no point in you even setting up autoresponders or writing a follow-up email to your client unless you can rest assured the email will get there. Increasingly it's challenging to make sure our emails get through spam-filters, and into inboxes. 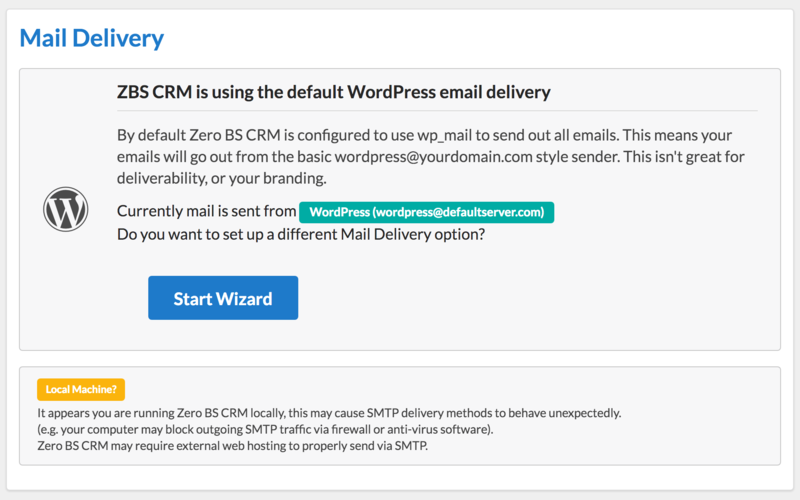 Zero BS CRM raises the bar with best-practice SMTP setup for multiple mailboxes, letting you send from your own mailbox, AWS SES, SendGrid, MailGun or any other high-level email provider, out-of-the-box!